This week, Your News to Know rounds up the hottest topics from the world of finance and the gold market. Stories include: Former Fed chair says eurozone isn’t working, gold gets tailwind from inflation and China, and new Alabama bill would encourage use of gold and silver as currency. 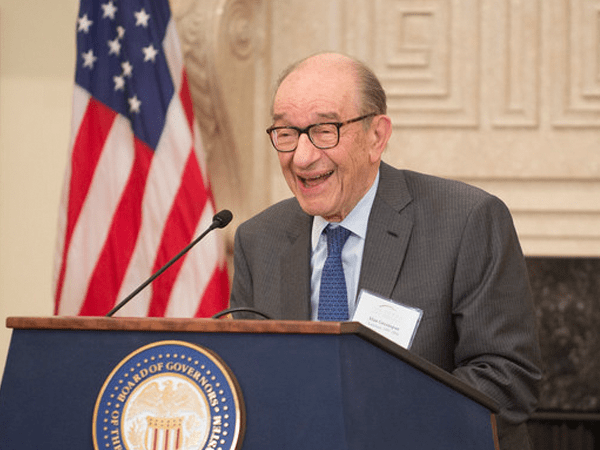 In an interview for the February issue of the World Gold Council’s “Gold Investor” magazine, former Federal Reserve Chair Alan Greenspan didn’t hold back on criticism over the eurozone. As seen on Business Insider, Greenspan believes that wealthy northern nations such as Germany are funding less prosperous southern members, which compromises the integrity of the entire eurozone. “The European Central Bank (ECB) has greater problems than the Federal Reserve. The asset side of the ECB’s balance sheet is larger than ever before, having grown steadily since Mario Draghi said he would do whatever it took to preserve the euro. And I have grave concerns about the future of the Euro itself. Northern Europe has, in effect, been funding the deficits of the South; that cannot continue indefinitely. The eurozone is not working,” said Greenspan, who governed the Fed between 1987 and 2006 and was the Chair leading up to the U.S. financial crisis. His latest statements are in line with an older interview he gave CNBC immediately after Britain voted to leave the European Union, in which he was critical of the EU’s currency. “Brexit is not the end of the set of problems, which I always thought were going to start with the euro because the euro is a very serious problem,” Greenspan said at that time. Frank Holmes’ latest piece on Forbes outlines two factors that are bound to give a boost to gold prices: inflation and China’s economic strides. Holmes notes that inflation continues its rapid ascent, rising by as much as 2.5% year-over-year in January. This marks the sixth straight month of consumer prices rising, led by higher gasoline, rent and health care costs, as well as January being the second straight month for rates to be above the Federal Reserve’s 2% target. Thanks to this, gold has closed above $1,240 for the first time since after November’s election – as Holmes says, with the inflation-adjusted 10-year Treasury yield reaching subzero territory, no investor will deliberately choose to lose money. Another boon for gold comes in the form of China and India’s economic revolution. The two countries, which are the world’s top gold consumers, are expected to make huge economic strides in the next few decades – this would boost gold demand even further due to the metal’s high correlation with discretionary income growth. China – which alone consumed 2,000 metric tons of gold in 2016, amounting to 60% of all the newly mined gold during the year – has been the talk of the business world recently. Morgan Stanley issued a 118-page report called “Why we are bullish on China”, forecasting that the Asian giant will transition from a middle-income nation to a high-income one between 2024 and 2027. This prediction goes hand-in-hand with PricewaterhouseCoopers’ (PwC) expectations that China will surpass the U.S. economy on an absolute basis by 2030. Expanding upon India’s economic boom, PwC states that the country “currently comprises 7 percent of world GDP at [purchasing power parity], which we project to rise steadily to over 15 percent by 2050.” As Holmes pointed out, these are all good news for gold, as demand for the metal has historically risen along with incomes in these two countries. A bill that was recently introduced to the Alabama House stands to make great strides for gold and silver bullion. Currently, precious metals are treated as a commodity in the state, which subjects them to sales and use tax – the bill would change the status of the metals to currency, which would encourage their use in business transactions. The Tenth Amendment Center blog argues that the current treatment of gold and silver as commodities goes against the Constitution, and gives the Federal Reserve plenty of leeway with its own currency. House Bill 238 would allow the markets to choose a more stable form of payment in the form of precious metals as opposed to the rapidly-depreciating paper currency – in the long run, it would also weaken the Federal Reserve’s monopoly on money and take away much of the value from its notes.